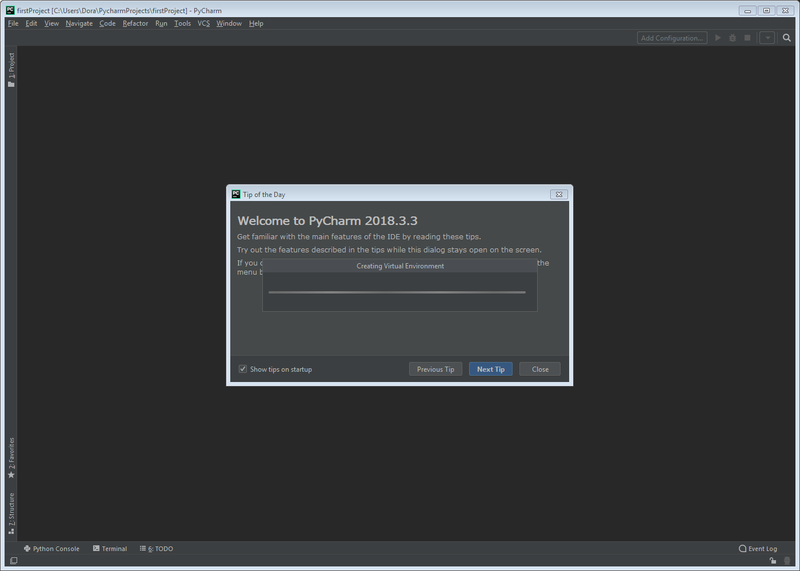 This tutorial will show you how to install the PyCharm IDE on your own computer–whether you have Windows or Ubuntu. Educational (community IDE with added education features). The Professional edition is a paid edition, but you can test it with a free trial. 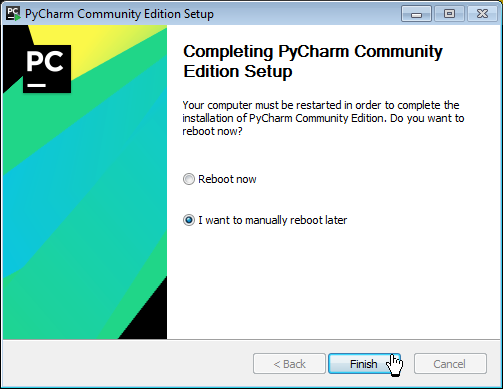 The Community edition is free and open-source, and it is available on Windows, Linux, and Mac. 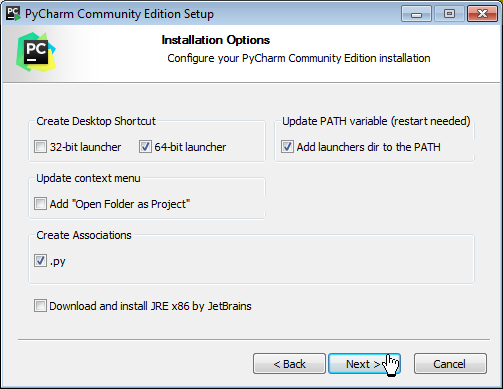 JetBrains also provides PyCharm Educational—a special free and open source edition with additional education features. In this article, we focus on the community edition, which is free and contains enough features to help make writing code easier. The first step is to download the executable file from the website of the project and run it. Begin the installation process by clicking the Next button. You can either choose the folder for the installation location yourself or leave the default path. 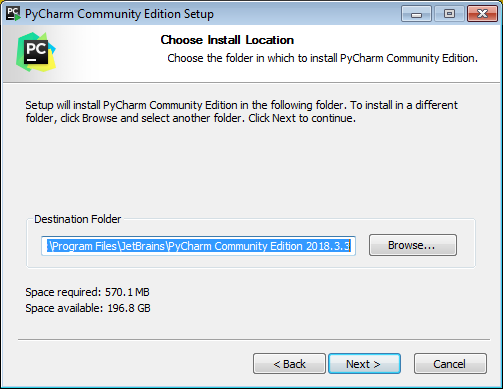 In the next step you can change various installation options and then confirm them by clicking the Next button. Now the Start Menu folder can be changed or you can leave it as the default. 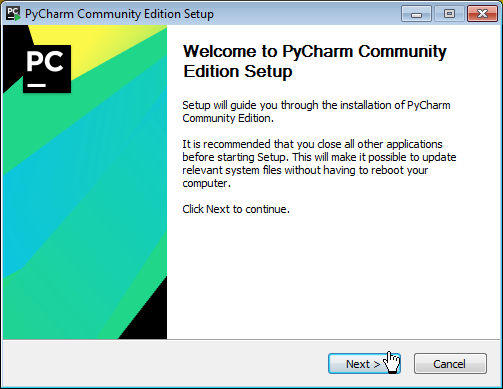 After these pre-installation steps, click the Install button to start the installation process. 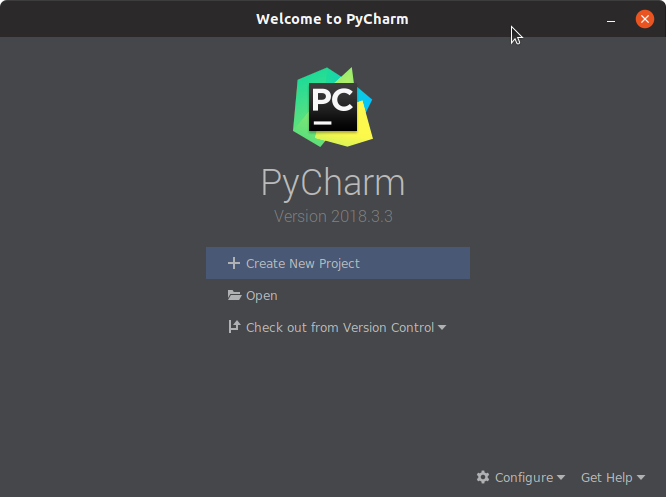 Click this icon to run the PyCharm IDE. When the Complete Installation window appears, click OK. In the Customize PyCharm window you can set user interface themes or skip it by clicking Skip Remaining and Set Default button. In the Welcome window choose the Create New Project option to create your first project. In the New Project window create a folder for your new project. 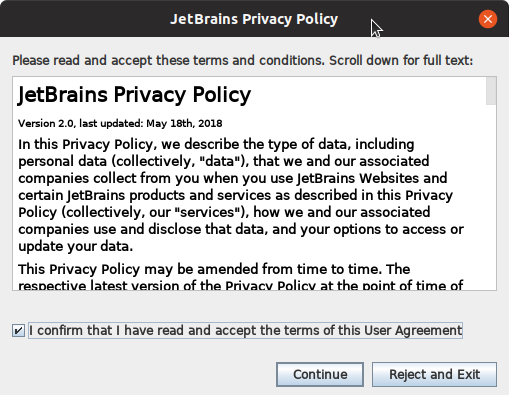 In this window you can also set other options. Click the Create button to approve all the settings and create the project. Voila! 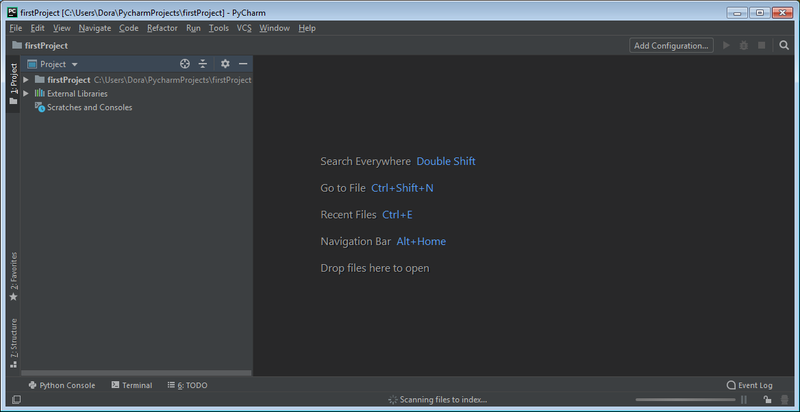 Your PyCharm editor is ready to use! I will demonstrate the installation process on Linux using Ubuntu. 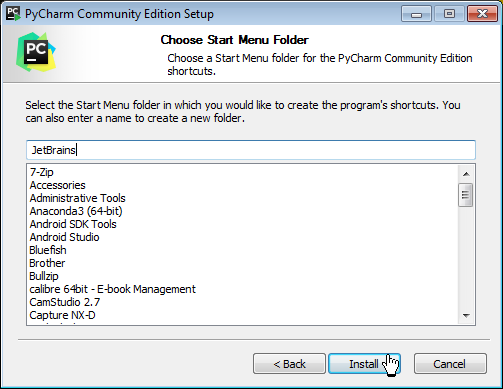 There are multiple ways to install PyCharm IDE on Ubuntu. The recommended way is to use a snap tool. 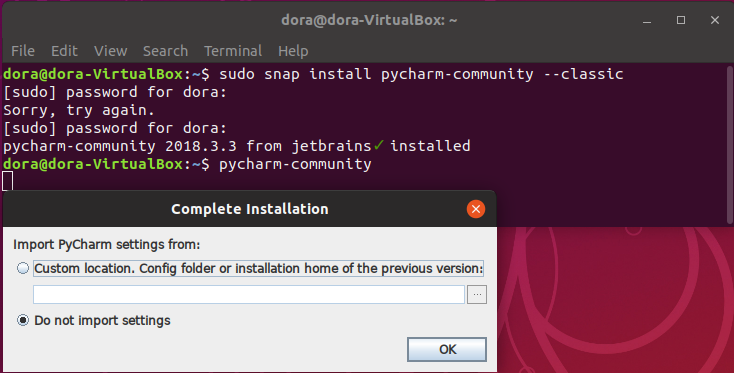 Snap is a program in Linux that allows you to install an application easily by using snap packages, which are available in the Ubuntu Software Center. The installation process then starts. The Complete Installation window then appears. Click OK to go to the next step. Next, decide if you would like to send anonymous data about software usage. 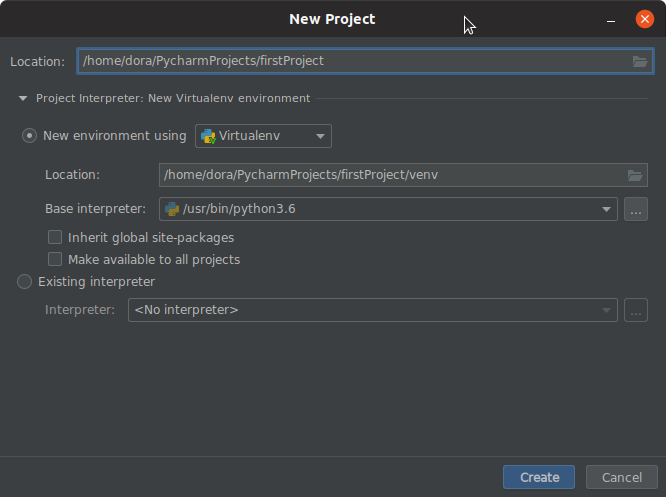 In the Customize PyCharm window you can change the UI theme or leave it as the default by clicking the Skip Remaining and Set Defaults button. In the Welcome window click the Create New Project item. 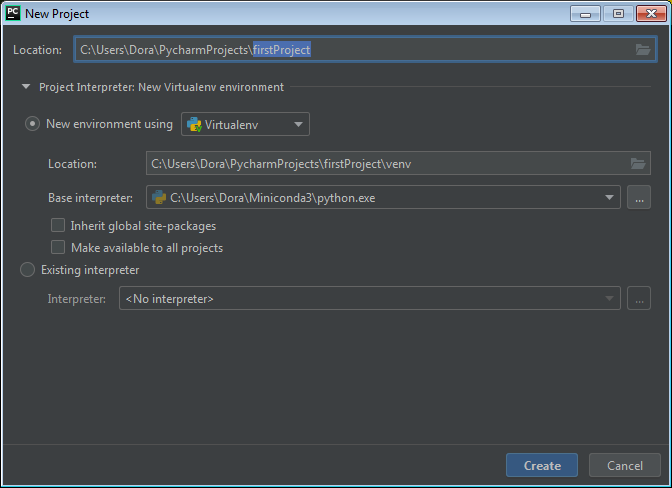 In the New Project window type in the Location box the path for the project file. You can also change other settings, like choosing an interpreter that reads and executes code. Voila! 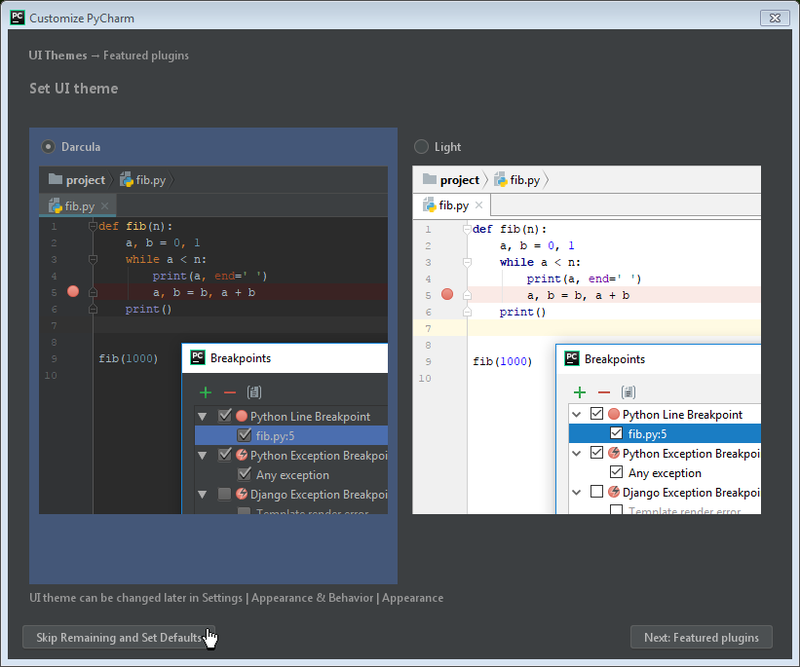 Your customized PyCharm editor is ready to use! 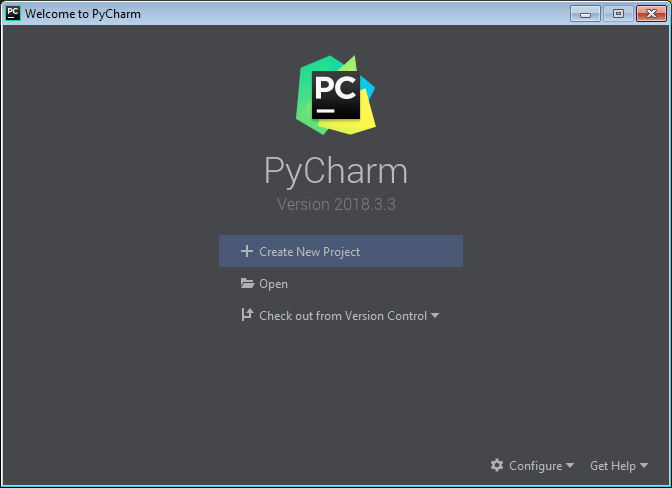 In this article, I showed you step-by-step how to install the PyCharm IDE on Windows and Ubuntu. 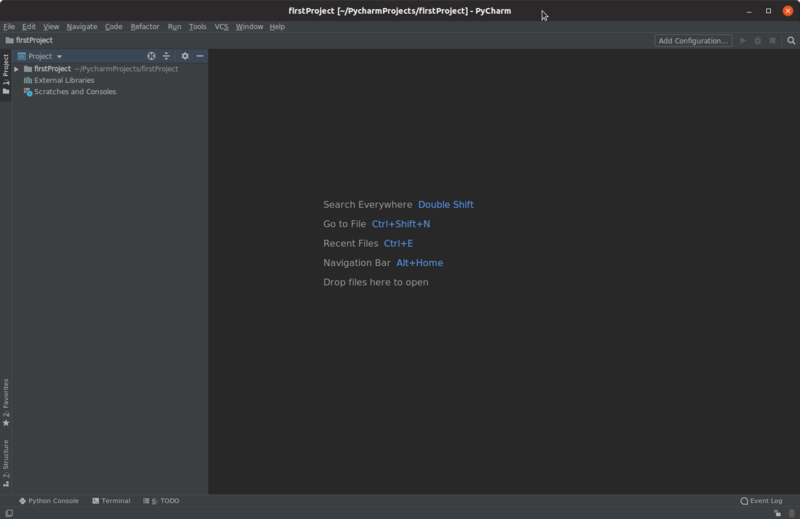 Now you can start exploring it and developing your own Python projects. I hope you’ll have fun! 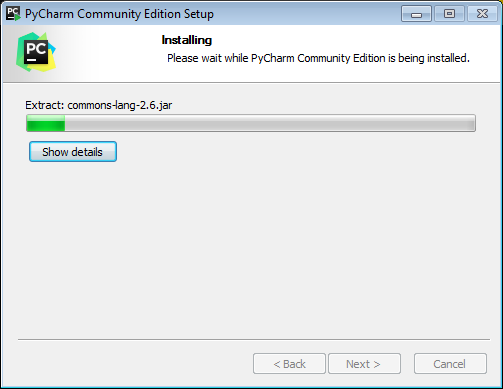 Stay tuned for my next article which will be an overview of the most useful PyCharm features for beginners. 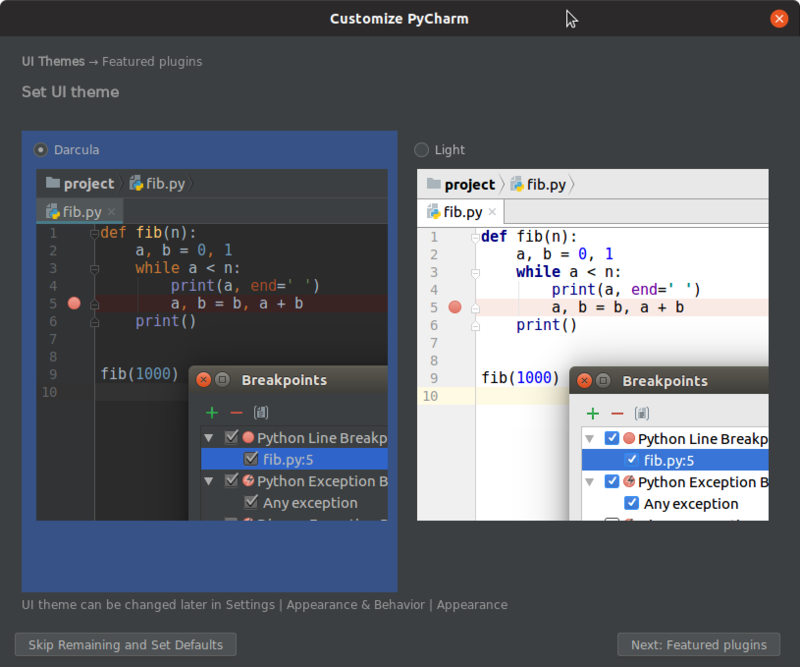 You can learn why PyCharm is fun, how to run scripts using it, how it can help you in writing your code, and more!